If you are the company deals with Money Transfer & Payment, do you want to be our partner? Would you like to expand your business by cooperating with i-Account? 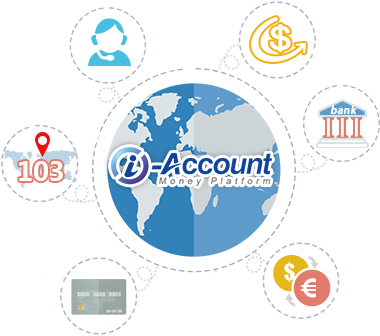 As a Money Platform, i-Account provides digital banking services to clients throughout the world. At present, i-Account has users in over 103 countries and offers card services, transfers, exchange, settlement in 26 currencies. Aiming at providing convenient services to global clients, i-Account cooperates with banks, money transfer agents, telecommunications companies, mobile money providers and settlement vendors throughout the world, to offer multiple inward and outward money transfer methods to clients. i-Account is expected to enhance the service of our Money Platform by cooperating with your company. If you are interested to be our transfer partner, please contact us by clicking on the “Contact” button below.